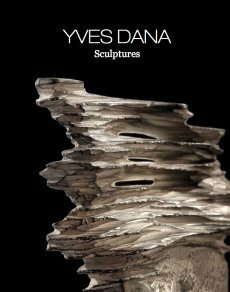 Whether of iron, of plaster or of stone, the volumes engendered by Yves Dana are signs. Signs of life, signs of time. His explorations carry him, lead him toward that essence which happily for us retains its share of mystery and attraction. 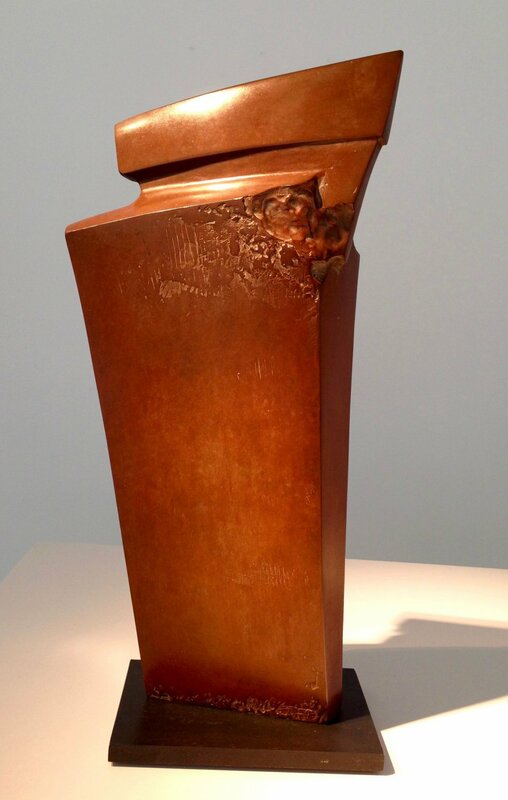 Of allure either sacred or baroque, of one material or a mixture, these works are both blossom and fruit. The natural elements, fire, water, earth and air, are the basis of his universe. To listen to oneself is to adapt to the full spectrum of nature. 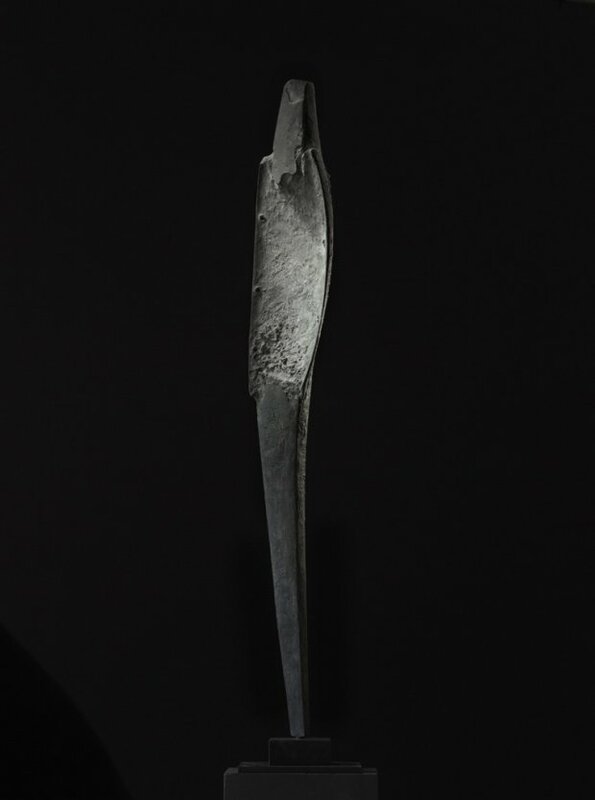 His sculptures are so many notes that he places to sensitize us to the forces that surround us. 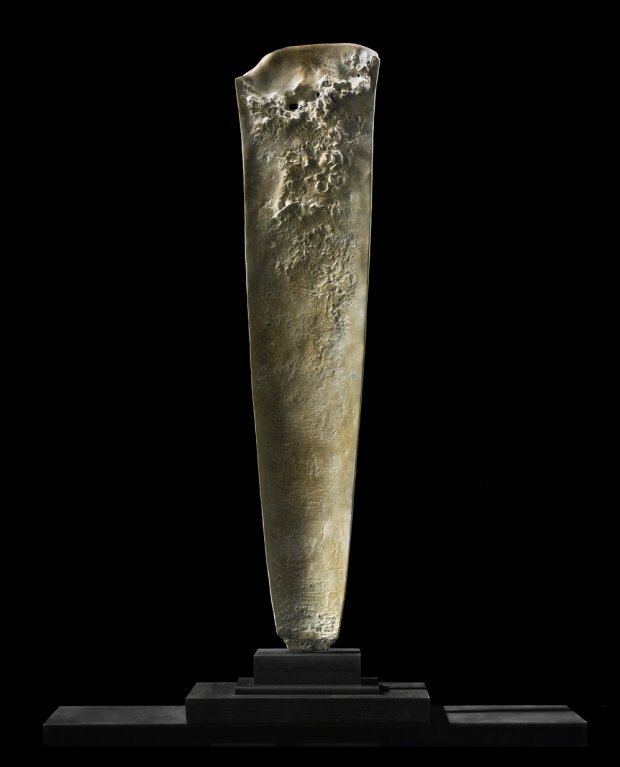 Like stone monoliths, his works catalyze energies and calm the spirit. The purity of line, the simplicity of curves, tame one’s vision and give it the occasion to stop for a moment. 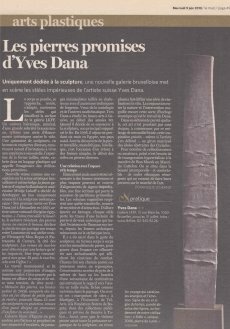 Qu’ils soient de fer, de plâtre ou de pierre, les volumes engendrés par Yves Dana sont des signes. Des signes de vie, des signes du temps. Ses recherches l’emmènent, le mènent vers cet essentiel qui heureusement pour nous garde sa part de mystère et d’attraction. D’allure hiératique ou baroque, mélanges de matières ou pures, ces oeuvres sont matrices et fruits. Les éléments naturels, le feu, l’eau, la terre, l’air sont les bases de son univers. 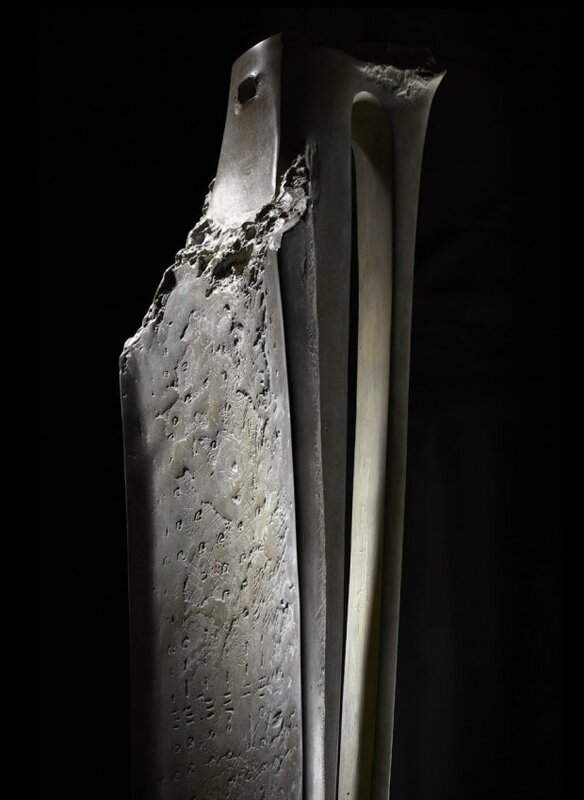 Ses sculptures sont autant de notes qu’il place pour nous sensibiliser aux forces qui nous entourent. Tels des monolithes de pierre, ses oeuvres catalysent les énergies et apaisent les esprits. La pureté des lignes, la simplicité des courbes apprivoisent le regard et lui donne une occasion de se poser un instant. 1959Born in Alexandria on June 25th. 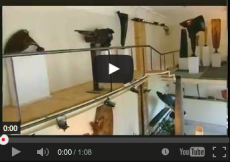 1979Opens his first sculpture studio. 1983University of Lausanne & Ecole des Beaux-Arts Geneva, Switzerland. 1987At the suggestion of the City of Lausanne, he fits out his studio in the 19th century heritage building Orangerie of Parc Mon Repos. 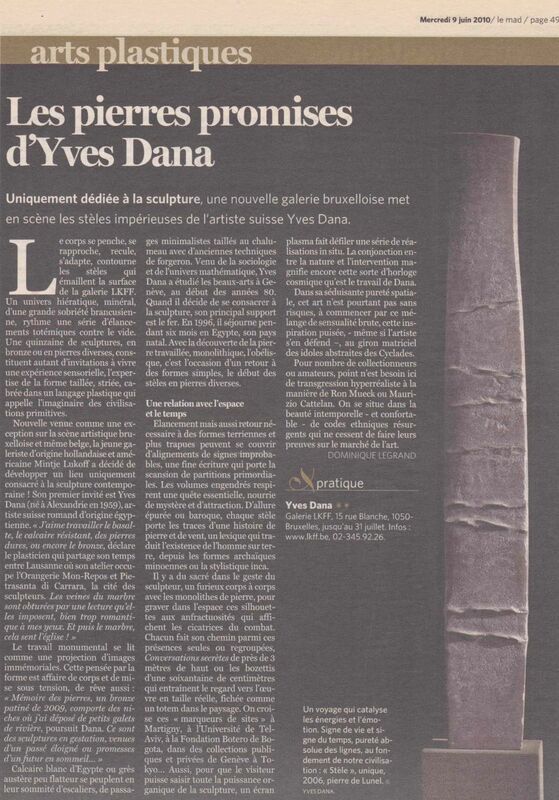 1989First book on Yves Dana published by Editions du Griffon Neuchatel. 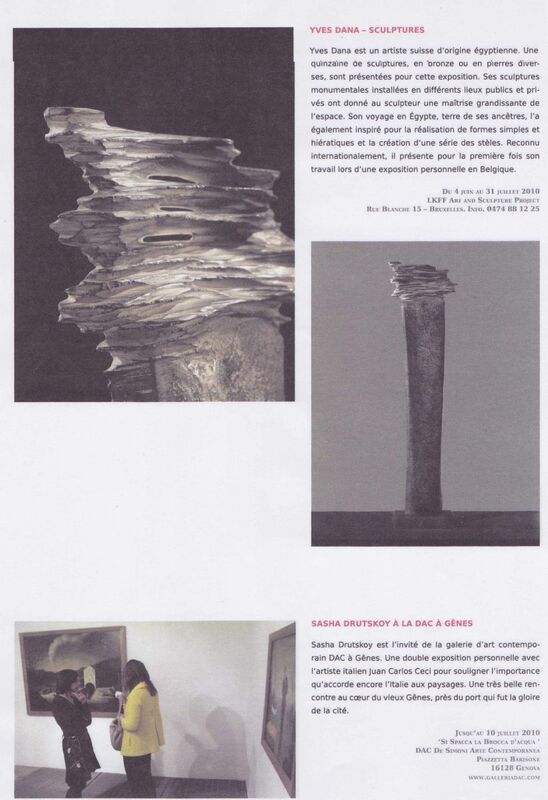 1993Monumental sculpture commissioned by Fondation Gianadda, Martigny, Switzerland. 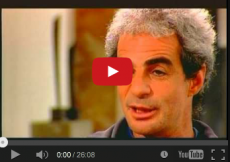 1996Thirty-six years after his family went into exile, Dana returns to Egypt, the country of his birth, for a six-months" stay. 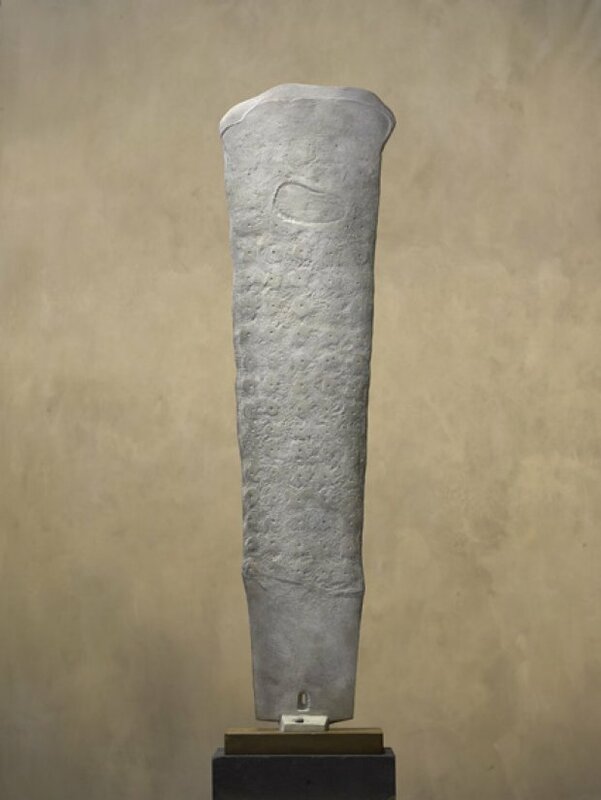 Temporarily abandons iron in order to improve his knowledge in plaster, goes back to simple, hieratic forms, and begins the "Stele" series. 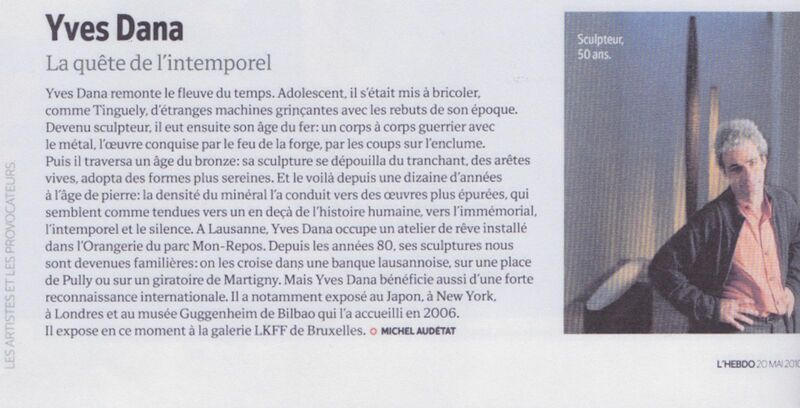 1999Second book published by Editions Cercle d'Art, text by Bernard Noel. 2000Begins to collaborate closely with the stonecutter Alain Vos who introduces him to the various basalts and hard stones. 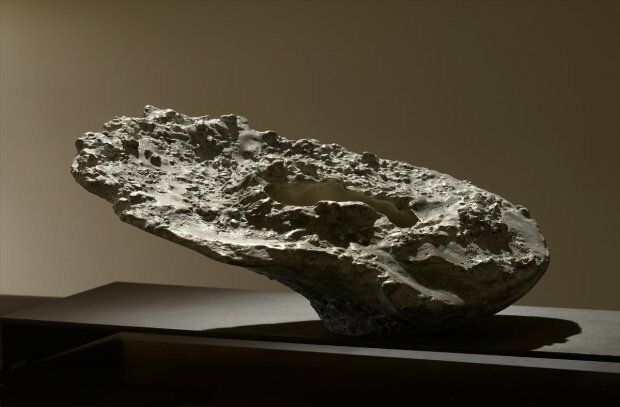 The presence and density of stone leads him to further purify and simplify his forms. 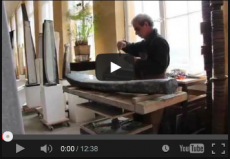 2002Yves Dana devotes himself entirely to stone cutting. He imports blocks of basalt from Sweden, limestone from France and Turkey, serpentine from Italy and diabase from Germany. Monoliths weighing up to fifteen tons are transported to Switzerland. 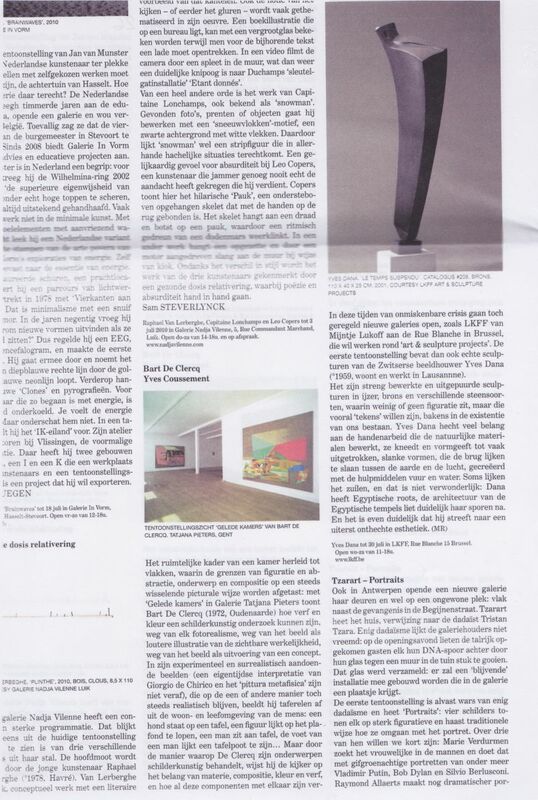 2004Completes commission of a basalt "Stele" for the University of Tel Aviv. 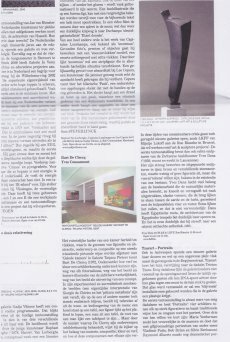 2007Editions Cercle d'Art publishes a retrospective catalogue raisonné of all the sculptor's work, with a text by Bernard Vasseur (collection Découvrons l'art). 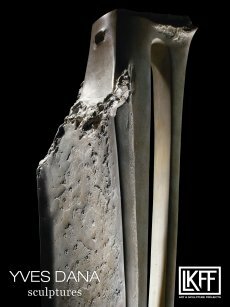 20155 Continents in Milano publishes an important 2-volume monography titled "DANA", and written by Prix Goncourt author Tahar Ben Jelloun. 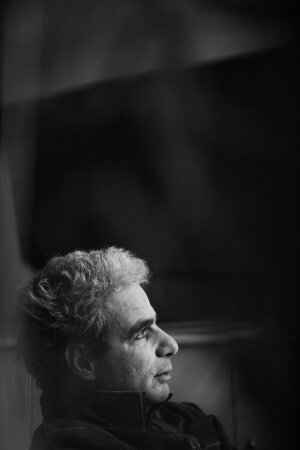 2016Yves Dana lives and works in Lausanne (CH) and Pietrasanta (It). He is also proud father of 3 children. 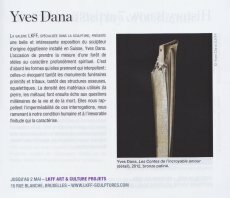 2008"DANA", entretiens Charles Juliet, 240 pages, Monographie et catalogue raisonné, Editions Cercle d’Art, Paris, France.